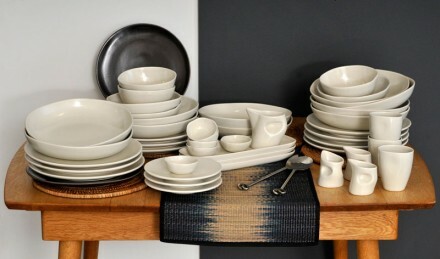 Introducing the new range of functional tableware designed and manufactured here in New Zealand by Bob Steiner. including New Zealand china clay known for its pure white quality. The body is considered a porcelain as it is fired to near vitrified temperature ensuring a dense, strong, clean white body. This gives the glaze a sharp and strong color response. The tableware can, with care, be safely used in a microwave and used for oven to table. It is dishwasher safe. Our unique matt glaze is formulated in house at Steiner and is scratch resistant and tough. We supply restaurants and take pride in our quality functional ware. We encourage you to take advantage of being able to collaborate with Bob Steiner, the renown ceramic designer. Our range has been well received by leading restaurants. All work can be customized in colour, shape and surface texture. We would like the opportunity to come and meet with you to discuss your needs. Prices negotiable on volume orders.